St. Elizabeth, JA: Junction, the once bustling business center of Jamaica's second largest parish, will now be known as the area's entertainment center when the 'King of the Dancehall' Beenie Man, Dancehall's 'rebelution' leader Tanya Stephens, Lover's Rock crooner Anthony Cruz, and Roots chanter Prestige cruise through St. Elizabeth's rolling country-side for Cruz-in' in Da Hills on December 19th. Instead of taking the show to 'town' (Kingston) or one of the other popular entertainment locations throughout the island, New York-based Triple T Production opts to kick-off the island's Holiday entertainment festivities against the backdrop of Jamaica's naturally beautiful rural landscape, and hopes to jumpstart activity in St. Elizabeth's struggling business epicenter. 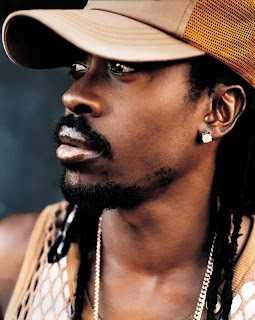 Cruz-in' in Da Hills promises to be the featured holiday event in St. Elizabeth, boasting a diverse line up of Island's talents, from the up-tempo anthems of Grammy-winning internationally recognized Dancehall deejay Beenie Man, to the soulful spoken word influenced tunes of sing-jay Tanya Stephens. Cruz-in' in Da Hills also marks the birthday of silky-sweet singer Anthony Cruz. The three entertainers, along with Roots soldier Prestige, will make their way to Junction, an area that has seen a decline in economic and social activity in recent years. "Junction is like 'town' to St. Elizabeth, it's a central area, close to Black River," states Tasz Smith, CEO of Triple T Production, whose family hails from St. Elizabeth and neighboring parish Manchester. "Junction used to be the place where everyone in the surrounding areas came for business, or church, or social activities-it is like a connecting point." Historically, St. Elizabeth, named for the wife of Jamaica's first English Governor, was one of Jamaica's most prosperous parishes, with Black River becoming an important seaport for shipping sugar and molasses, and becoming the center of the logging trade. In the 1960's, St. Elizabeth became a major producer of bauxite and aluminum. Today, the parish is a popular tourist destination, with some of the island's most beautiful tourist attractions like Treasure Beach, the Black River Safari, YS River Falls, Bamboo Avenue, and the Appleton Rum Distillery. St. Elizabeth is also the home of Little Ochi, an area in Alligator Pond noted for its excellent seafood. While Junction is far from a tourist hot spot, Junction is a key attraction to the residents of St. Elizabeth, who find it necessary to visit the area regularly for shopping, vending, socializing, and to conduct business. Junction, unlike many other places in Jamaica, has also remained relatively crime free, with many houses and stores without burglar bars or grills, an uncommon phenomenon in today's society. "Junction is a cozy town, and the people are very close-knit and welcoming," states Smith. "We want Cruz-in' In Da Hills to bring back a vibe to Junction-to re-energize the area."